America is renowned for all things big – and property is certainly no exception. There are several mansions currently on the market that redefine the idea of luxury (although we aren’t quite sure what you would do with 22 full bathrooms). 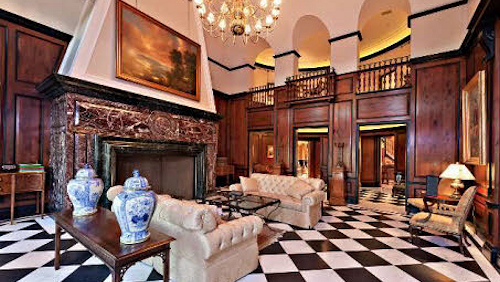 Take a look below at our list of the five biggest mansions for sale in America. 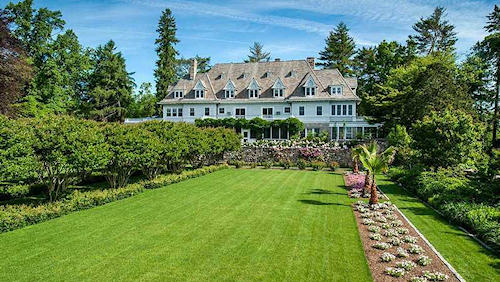 On the market for the first time since 1904, the Waterfront Estate in Greenwich is one of the largest houses for sale in America right now. The property has been listed for $US190,000,000 – and in case you got lost in all those zeros, that’s one hundred and ninety million dollars. So what does one hundred and ninety million buy you in the way of property in Connecticut? Well, this 12 bedroom 7 bathroom property sits on 50.5 acres of perfectly manicured land with incredible waterfront views. After driving down the 548 metre cobblestone driveway, the grand panelled entrance room features a stairway that rises three stories – but you could take the elevator if you’d prefer. The living room features a beautiful carved fireplace, which is one of seven positioned in different rooms throughout the mansion. The others can be found in the dining room, the library, the family room and a selection of bedrooms. Next on our list of the largest homes in America is this three storey colonial revival mansion, located in Bethlehem, Pennsylvania. More than a century old, this home is positioned on 0.5 acres of land in Bethlehem’s “millionaire’s row” amongst an array of grand mansions. The previous owners have meticulously restored this mansion and the grounds to absolute perfection – taking no shortcuts to keep the historic character of the house. Featuring looming ceilings, 9 bedrooms and 6 bathrooms, and of course, plenty of room to move, this enormous mansion is for sale for the asking price of $1,250,000. A Californian property has recently gone on the market for a staggering $US63,000,000 – but it’s no surprise why. Located in a highly sought after Beverly Hills area, this 10 bedroom 22 bathroom mansion features exquisite views overlooking both the stunning hillside and the city itself. This American mansion features 9 fireplaces, an elevator, a garage and motor court big enough to accommodate 27 cars, and even its own staff quarters. The immaculately cared for gardens feature orchards, fountains, a mosaic-tiled swimming pool, outdoor pavilion, pool house and a tennis court. In what we would consider to be the most elegant of the largest houses for sale in the US right now, the décor of this Virginian mansion is timelessly beautiful. Located in McLean, this house is set on 283,968 square feet of park-like land in what is considered an “embassy style estate”, and features 10 bedrooms and a total of 15 bathrooms. The Bradbury Estate couldn’t be missed. One of the most impressive mansions for sale in America right now, the estate has been put on the market for an asking price of $US68,000,000 and really is the height of extravagance. Located in Bradbury, California (ranked by Forbes as one of the most expensive postcodes in the country), the property measures 47,182 square feet and has 7 bedrooms and 10 bathrooms. Along with breathtaking city, canyon and ocean views, this mansion features a two storey library, an elevator, a state-of-the-art Cybex gym, a subterranean EPA certified 22.86 metre shooting range, an elevated infinity-edge pool, and a temperature-controlled trout pond with a two storey waterfall. do they come with sustainability reports ?? !! amusing for a minute… but really guys, when will you look to the future ? 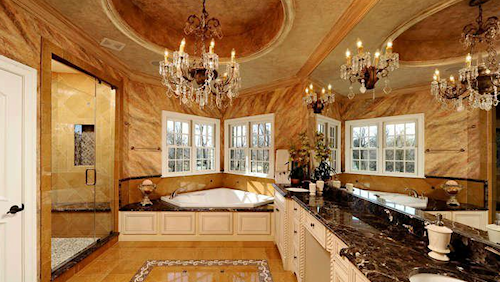 these “glamour” homes belong to the past. greedily eat up all resources around them ? Great point Phillip. We’re currently working on a post about a sustainable house made out of seaweed that you might find interesting – check back soon! Perhaps we should research the most sustainable homes? I’m pretty sure he Pennsylvania place is asking more than $1.25M – I’m guessing it is a mistake and they are really asking $125M? And is it really on 21,600 acres? 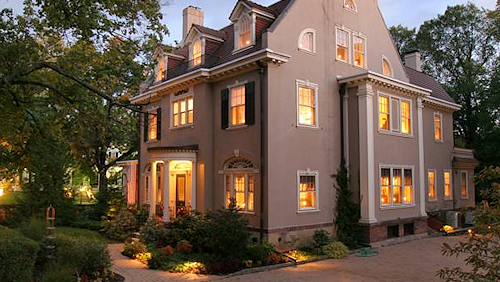 How can you have a millionaires row when each home is 5 miles from the next one? Also, I owned a two bed unit in Boston that was about 700 square feet and I’m guessing that the Bradbury house is more than half as large? 348 sq ft seems a bit small – 348,000 sq ft or perhaps 348 acres? The information we have shared matches what they have published, but it is possible there has been an error. We suspect you might be correct about the Bradbury Estate being on 348,000 sq ft of land – although the web listing (found here: http://www.luxuryrealestate.com/residential/1804934-the-bradbury-estate-172-bliss-canyon-rd-bradbury-california-united-states) says 348 sq ft, the living space is said to be 47182 sq ft so there has been a mistake there.